Summer Wind Charters is a new business promising to provide several ways to enjoy the waters off Branford, CT. Packages aboard Summer Wind’s Seaward 25 Victoria include Historic River and Harbor cruises, Sunset and Moonlight cruises, Intro to Sailing, as well as Wedding and Engagement cruises, all at very affordable rates. All cruises are perfect for couples as well as families. 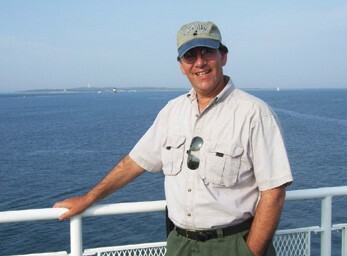 Owner Captain Mark Cisto is a licensed U.S. Coast Guard 50-Ton Master Captain with a Sail Endorsement. Growing up in Connecticut, he has many fond memories of boating on beautiful Long Island Sound from a young age with his family. A serious sailor for more than a decade, he loves sharing his love of sailing with many friends and family and looks forward to doing the same with his guests. “Memories are made on a boat,” says Captain Cisto. “But if you don’t have a boat, no problem! We would love to share the joys of being on the water with you and your family and friends!” For more information, visit summerwindct.com.